Huawei is pretty confident that come 2020 it will be the global smartphone leader, but this confidence isn't unjustified at all. The Chinese company overtook Apple to become the second-largest smartphone vendor in the world after Samsung, which is no small feat. Now Huawei has set its ambitions even higher, as Richard Yu, the CEO of Huawei's consumer division told CNBC in an exclusive interview. Next year, the handset maker hopes to close the gap and maybe get inches close to Samsung, and by even overtake the South Korean handset maker. 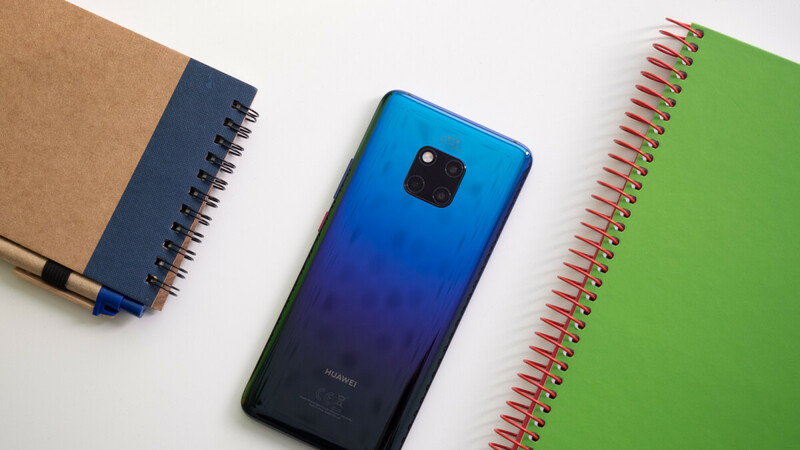 Samsung has a committed to a lot of “world's first” technologies, including a 5G smartphone and a foldable handset, but Huawei is at least just as interested to take away the crown. Unlike Samsung, Huawei is running an unusual smartphone business, according to Richard Yu. The Chinese company had always focused on B2B (business-to-business), so all Huawei's senior management is specialized in this segment of the market, including those running the B2C (business-to-consumer) operations. That often leads to arguments since B2B management doesn't trust many of the plans Richard Yu and his team sometimes choose to pursue. Even so, Huawei continues to be a force to be reckoned with, so we don't think anyone will be surprised if the company achieves its goal. In the meantime, Huawei plans to push out a couple of innovative products that will heavily rely on AI, a key technology that will change the way we're using smartphones today. As long as their QC remains questionable, I don't see Huawei being much of a threat. Coming from a Pixel fan thats hilarious. Venom is right. Mid-range huawei's have issues especially in app compatibility, dimming displays and battery performance after a month or two of use. I think for mid range long term durability, it's nokia > oppo > xperia > huawei. But Pixel devices, which are flagships, have loads more issues, so mootu is correct. For a Pixel fan to say something about QC on Huawei devices when Pixel devices have quite possibly the worse QC on any flagship device is hilarious. Especially when comparing flagship to flagship. "Venom is right. Mid-range huawei's have issues especially in app compatibility, dimming displays and battery performance after a month or two of use. I think for mid range long term durability, it's nokia > oppo > xperia > huawei." Ok! I have been a Huawei / Honor user for the last 4 years. I havn't encountered any of the so called issues you mention. Every app i have wanted to use worked fine. Never had a dimming display, but i don't use auto brightness. Battery performance is amazing on all Huawei devices, best on the market. As for durability, i still own all the devices i've used in the last 4 years and all are still working fine. That is coming from a current Mate 10 Pro and Honor Play user. @mootu Just because it doesn't happen to you, it doesn't mean it's not happening but I'm glad that you get a good unit. Indeed they are. They are very much a threat. Comparimg quantities sold is meaningless. What matters is profit. Apple profits from China alone MUCH more than Huawei profits from the entire world. jacky899 No one except for Apple fan boys and investors give a damn about "profits" as a metric. Look at the auto industry, we talk about the best selling cars and trucks, we talk about the best preforming, we talk about the most luxurious, best looking; we never go into who the most profitable company is. That's all fanboyism, and some kind of BS excuse to have some kind of spot that Apple is #1. Apple is number one at ripping people off, no iPhone user should be proud of that. Yes they should. Because they are too stupid to do anything otherwise. Having the most sold with an ASP of $250-$300 means nothing... It just means you have to work twice as hard just to be at Apple's status. Exactly. It's easy to gain market shares if you are willing to forgo profits. It just means you sell your products at a lower costs than the other guy. I always get a kick out of when bloggers and other companies compares their market shares to Apple. Apple's ASP is about $700, whereas those guys ranges from $150-$250. Apple is not playing the same game. It's amazing Apple can move that many devices at those prices. I will be impress when those same companies can sell as many devices as Apple with around the same ASP, until then, you are not playing the same game as Apple. Why do Apple fsns always seem to get so offended when Huawei overtaking Apple market share wise gets mentioned? Why can't you guys be happy that there is competition like this to spur innovation. This article referring to market share, not profit share. I don't think folks get offended. It's the way bloggers and companies present it, and comenters takes their cue from those. This headline could easily say No one can touch Apple profits, but no one wants to have that conversation. Apple do not play the market shares like others do and we all know it but somehow ignore it to push an argument. People do get offended, and it’s evident by your initial comment and comment #4. This is about market share, Huawei and Samsung, but you Apple fans always seem to want to make everything about Apple. bad self-confidence, anger, envy are some of the reasons. And also Why does Apple fans always boil the market share things to profit. Market share and profits are two different things and Apple is good on both. It just happened that Huawei managed to beat them in Market Share. Media do publish about Apple’s profits too. Talk about profits in those articles. For real. This article is about market share, and Apple fans always manage to deflect from that and bring up profits. As an apple fan I honestly couldn’t care less apple can be 5th in market share for all I care as it really doesn’t matter. Not offended by no means as Android marketshare is only a sum of its parts. Your initial comment proves otherwise. Because they dont have crap else to brag about Apple. Consuners dont give to shakes a out how much a company makes. Only crap stupid fanboys and stockholders care about ASP. I could care less how much Samsung makes. If rhey want my money, sell me a phone i want to vuy. A company the size of Samsung isnt gonna profit like Apple. Its pointleas to even mention it. But see they do because they cant talk about how great the products are when they are always bendong and malfunctioning and require updates every week to fix the updates that break more stuff. Yaaawn. Fanboy garbage talk. Go buy another $1000 iPhone so Apple can beat everyone even more. It's going to be one tough battle, but anything is possible, and I can definitely see Huawei overtaking Samsung to become the world's largest smartphone vendor. I remember reading here that people didn't think that Huawei could take the #2 spot from Apple, and they did it. Huawei has been putting out some really good smartphones, especially as of the last 2 years. Their Honor sub-brand has also been putting out some really good smartphones as well. It's be real interesting to see what happens here. You are talking as if Apple was trying to hang on to the number 2 spot. Huawei is playing the same game that Samsung do and Nokia before it. Which is to flood the market with a bunch of cheap devices and offer a few expensive ones to. The way to tell how a vendor is doing is to check their ASP. And right now, nobody is even getting half of what Apple is getting for their devices. While everyone is concern about market shares, Apple strictly focuses on profits. They do it with all their products, from laptops, to tablets, phones and speakers.